If you find yourself in the early days of wedding planning, one of the first priorities will be finding the right wedding venue for your big day. Not only is it one of the biggest decisions you’ll make, but it’s also the most important, since it will dictate the running order and theme. It’s also the biggest cost you will incur; According to latest research, the average UK wedding costs £32,273, of which the greatest expense is a wedding reception venue, which will likely set you back £5,221. It’s therefore worth giving due diligence to researching your wedding venue. 1. Do we want a religious or non-religious ceremony? It’s possible that you will know the answer to this already, however it’s important to be clear on your plans from the get-go. 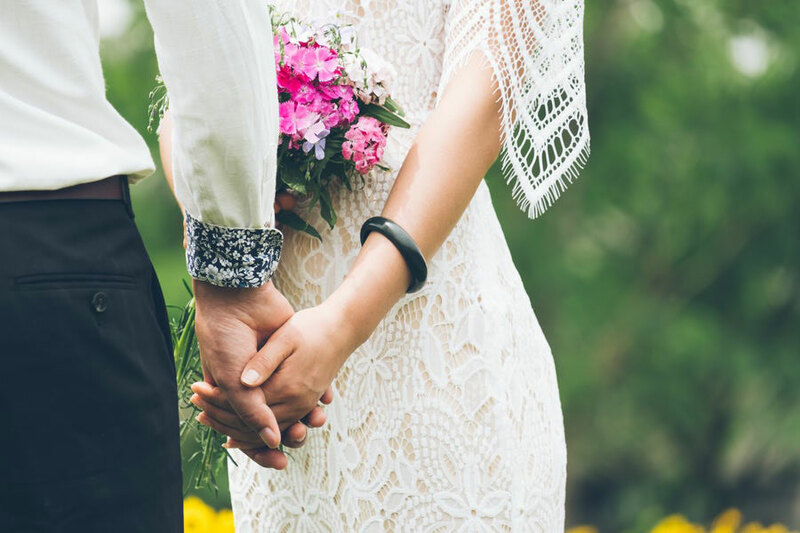 If you’re planning a religious ceremony, you may be limited to certain areas in relation to your church, or you might need it to be close enough for attending pre-marriage classes or the banns being read. If you have no religious requirements, then you’re likely to have more options. 2. How many people do we want to invite? The size of your wedding party is going to play an important part in the type of wedding venue you can hire. Larger parties have the benefit of bigger locations, while smaller parties can enjoy more intimate venues. Firstly, get together and write a list of all the people you would like to invite, including those you could ‘lose’ and those that are a priority. This will give you an approximate figure to work to. You might also want to consider if you’re happy to have ‘reception only’ guests. 3. Where do we want to get married? Every couple has a place that is sentimental to them. This might be a priority for your wedding venue, or it might be a ‘nice to have’. Think about who you plan to invite and consider how the travel arrangements involved. Weddings with lots of international guests tend to benefit from central wedding venues that have better transport links. This may also influence whether you find a venue that offers on-site accommodation too. 4. What’s our wedding budget? Whether you’re looking for budget venues or a luxury wedding with all the trappings, your wedding budget will determine the best location suited to your wallet. When setting out your budget, consider how you will fund the big day. Personal savings, family contributions or perhaps through guest contributions? If you need to take out a loan, consider if this is within your financial stretch. 5. Do we want to go big, medium or small? Give some thought to whether you want a grand wedding or reserved occasion? Your wedding reception venue should reflect your wedding vision. This extends to whether you want bridesmaids, ushers, groom’s men on the big day, as well as your thoughts for a stag and hen night. Once you have an idea of the scale of your wedding, you’ll be able to plan with confidence. 6. Do we have a theme or venue in mind? From barn to beach, country house to castle; is there a wedding venue or theme important to your wedding day? For instance, Christmas weddings are often inspired by winter themes, and beach weddings tend to be more modern casual affairs. If you can agree your wedding style in advance, it will help whittle down wedding venues from the many thousands available. 7. What’s top of our priority list? An important question to ask yourselves is what is your greatest priority? This might be having a luxury wedding, or it might be buying a designer wedding dress. A useful technique is to go through all the elements that make up your big day and categorise them by importance. Crucial to this – what are the areas you’re not willing to compromise on? What are the factors you would happily compromise on, and what is low on your priority list that you could leave out if required? This will help you understand what’s important to you both as a couple during wedding planning. 8. What time of year do we want to get married? Especially important to those on a strict wedding budget, the time of year you elope can have an impact on costs. In the UK, the peak season tends to be between May and October, with weekends costing more than week days. If you’re planning to go abroad, seasonal timings may be different. Give consideration to your preference. You may find that if you’re open to all options and willing to compromise, you may get a better deal. Additionally, keep in mind that some of the top wedding venues will get booked quickly, some as early as 18 months in advance, so it’s never a bad thing to look early. 9. What experience do we want our guests to have? As a final thought, it’s useful to think about what sort of day you want your guests to have. Some couples focus on the ‘guest experience’ at every stage, others take more interest in the backdrop for photos, or its flexibility around the weather. Think about what is important to you as a couple and how the right wedding venue can deliver this. Once you’ve gone through all these questions, the next exciting step is to start planning! Armed with your list of requirements, use a trusted and comprehensive resource such as Wedinspire to search wedding venues. Using filters for location, capacity, type and budget, you can effortlessly find the wedding venue of your dreams, freeing you up to focus on other things, like wedding cake tasting and dress shopping – we’ll drink to that!